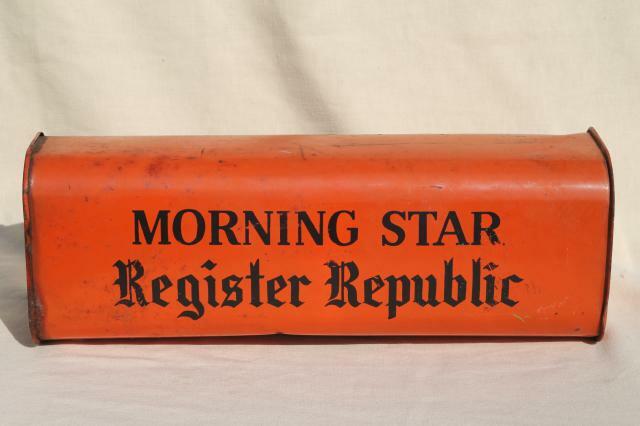 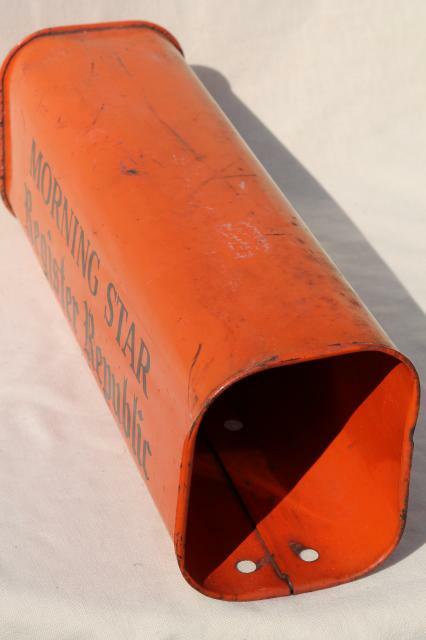 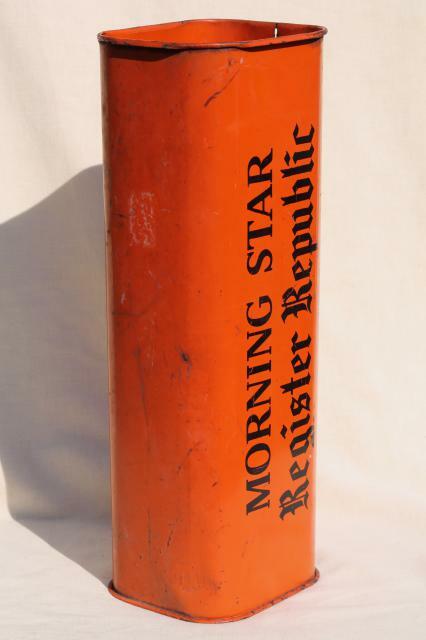 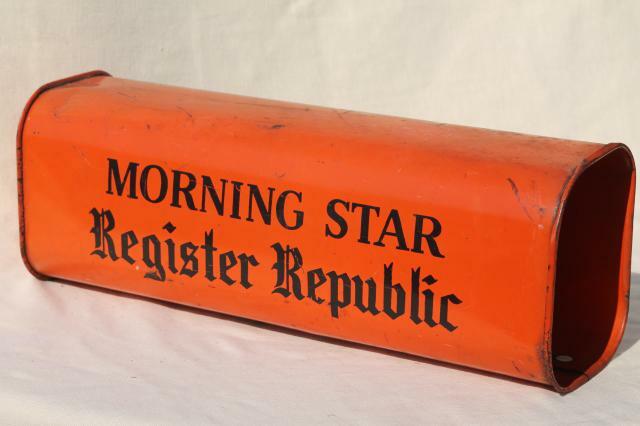 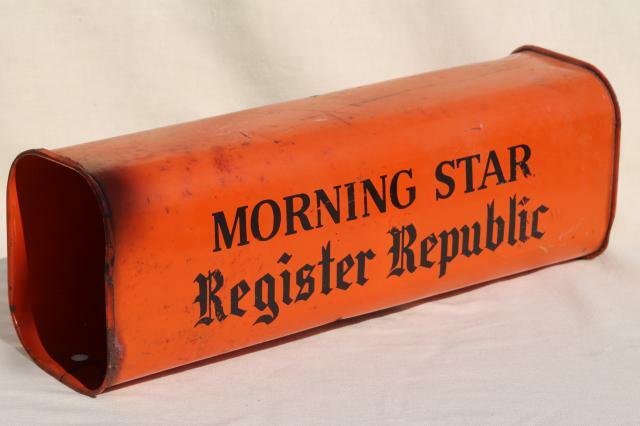 Old metal newspaper box for the Morning Star Register Republic (Rockford, Illinois). 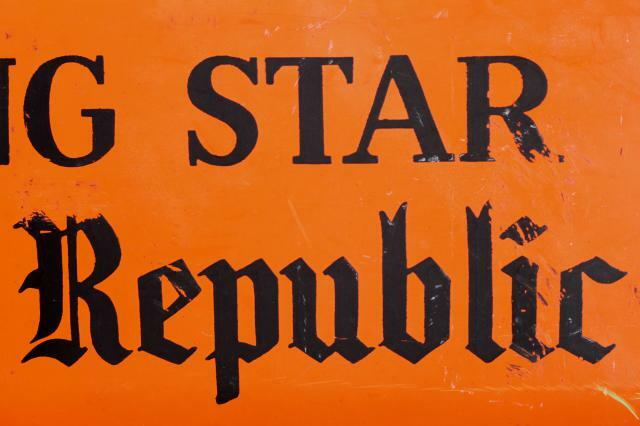 We love the orange and black, that wonderful old typography! 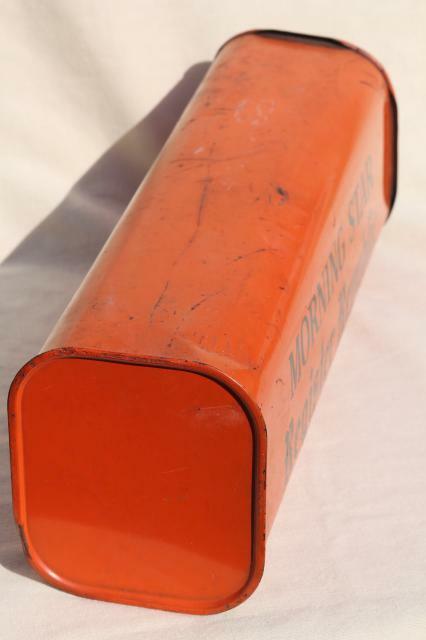 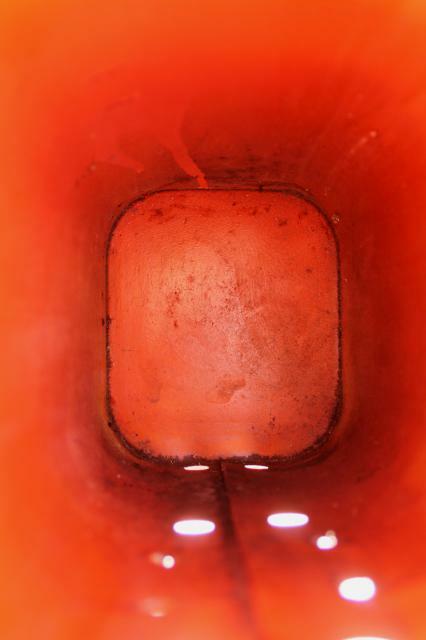 This measures about 18" x 6 1/2" x 5 1/2" overall. 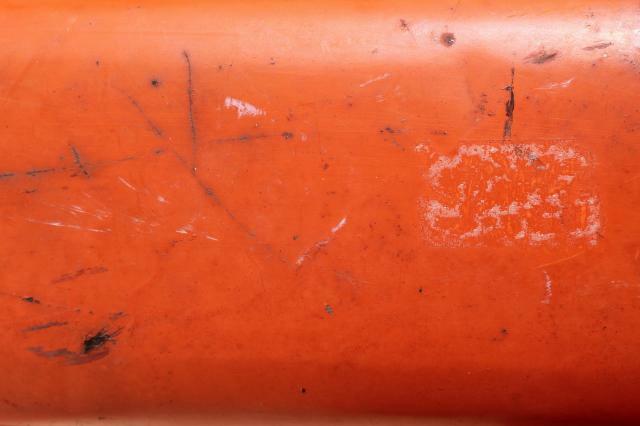 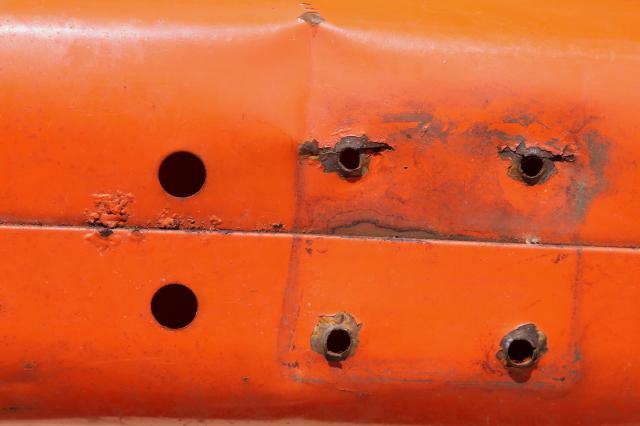 It looks very good, very little rust or scratching to the painted finish.